Saint Peter was standing at the pearly gates when he saw the first in line that day was Mother Teresa. With no hesitation at all, he told her to come right in, “Karibu” (welcome) that she had done so much during her earthly pilgrimage. She replied that she had not done enough. What on earth did the man behind her think? It has put the fear of the Lord in me as well. 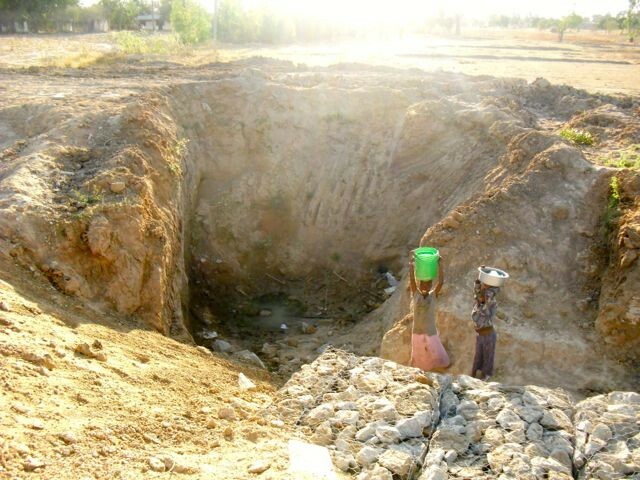 This, by the way, is a picture of two little girls trying to find water in what looks like a pretty dry hole to me. This is a daily chore. THE FIRST DAY OF AUTUMN IN THE U.S.
Joy, joy, joy! It is Oatmeal and Crème of Wheat time with a tarnished pewter sky above and 60 degree temperatures below. Some of us in the south are happy to say goodbye to the heat of summer. 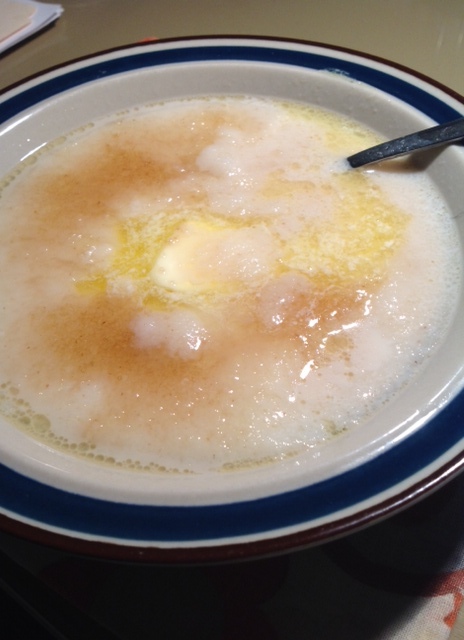 As I looked at my bowl of Crème of Wheat laced with butter, brown sugar and milk (remember the old ad: “Warm up your insides before you go outside” I thought of cold days in Africa often with nothing hot to eat, sometimes nothing at all to eat. Jessie and I took Grits with us one year and cooked them for one of my classes. They didn’t take to it with just salt and pepper but then we served it with sugar and milk and they much preferred that. The closest thing they have is called ugali, a rather thick paste of flour. I even wonder if it has any nutrients in it. A friend recently challenged me to think of five positive things each day for a week. Today Crème of Wheat would be a positive. Our friends in Africa are about to go into their summer and that always means to pray for rain, water being very precious there. We have seen what drought has done to California. Imagine it year after year as in Dodoma. Jessie and I are working on some new projects for Alternative Christmas giving so stay tuned. We have saturated the market with pigs ~ that project is flourishing. But there are many other things we can do. As soon as we get it all together we will send out a newsletter on e-mail to those on our mailing list. If for any reason you are not on our mailing list and would like to be just send us your e-mail address. Isn’t she lovely? This is Anna Yohana a 27 year old single priest in the Anglican Provence of Tanzania. She graduated from Msalato Theological College with a Diploma in Ministry, a 3 year English medium course. She has been working in a parish and sub-parish with 9 churches! Covering 9 rural village churches sounds impossible to me. According to Sandy it took her 3 months to get to all the parishes and it is the custom there to visit all of the parishioners in their homes. The distances are daunting between some of the churches. Obviously, she has done a lot of walking and cycling. 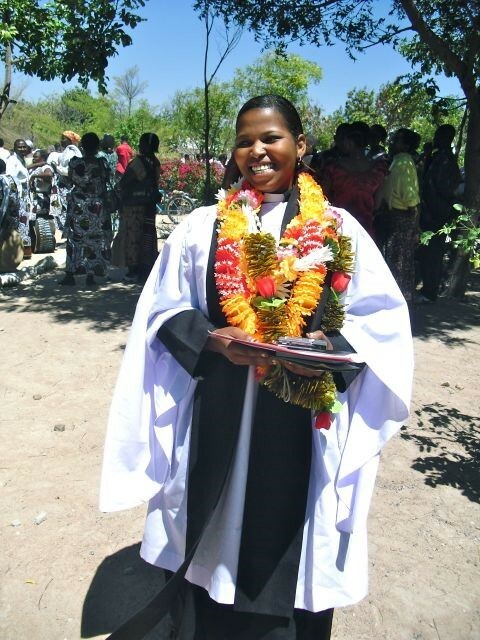 She plans to continue her education at Msalato to get her Bachelor of Applied Theology degree. With her salary of $25.00 a month she has been able to save$135.00 for her student fees. The joyous news that I bring is that St.Patrick’s Church in Lake Tahoe (a very small church) is giving one half of her tuition for one year thanks to Cherry Barney who worships there half the year and at Emmanuel, Southern Pines the rest of the year. 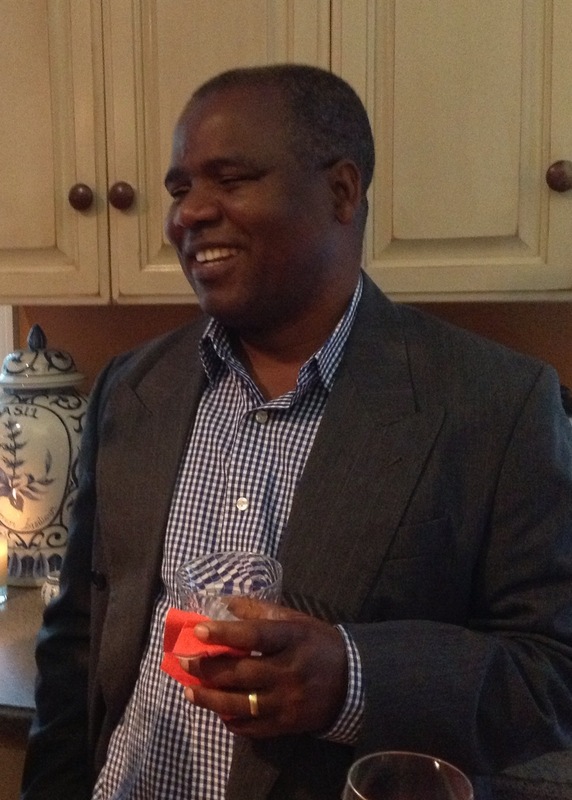 These African Christians believe that God will provide and by George, He does. As I have said over and over ~ the Africans teach me. Thank you Cherry and thank you St. Patrick’s. Moses is fine, but it is a miracle. He and his wife Ruth were driving to his father-in-law’s village to do research on his Ph.D. when a tire blew on his car causing him to lose control of the car. The car rolled over twice, surely a very frightening experience. In his e-mail he thanked God for protecting them saying it is a wonder they are alive. The car’s engine is all right but the damage to the body of the car was significant. $2,200 worth of damage. Jessie and I are trying to figure out how to help him but the Karimu funds were not donated to repair cars, so we think we will just send a little from our personal accounts. If anyone would like to join us just let us know. Life is so darned hard over there. I’d feel rather sick myself if I had a $2,200 car repair bill, but most of us could do it or buy new cars. Jessie keeps saying that we have won the birth lottery. Amen. This is a favorite picture of Moses at my 80th birthday party at Jessie’s. Although he is an Episcopalian, he does not drink alcohol. Oh, how he loves lemonade though! 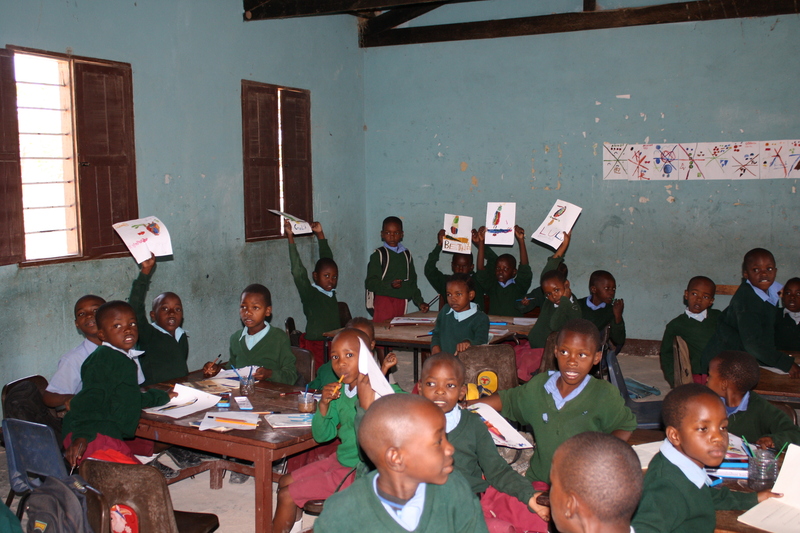 Our blogs aren’t as frequent these days because we are not at Msalato, but our hearts are still there.